2018 will go down as a year of many developments in the emerging technology landscape. Besides talks about artificial intelligence becoming mainstream, the technology was also at the centre of constant speculations and brainstorming by AI experts. With the year 2018 coming to an end, we list down the top 10 AI tweets that blew our collective minds this year– better known as the year of maturation of AI ecosystem around the world. 1| The year began with AI guru Andrew Ng, founder of Coursera and a well-known AI influencer announcing the self-driving car company Drive.ai being launched. 2| The second tweet that rocked the AI world was by Demis Hassabis, Founder of DeepMind AI on how AI can predict the 3D structure of the protein which could help in drug discovery in future. 3| Joining the Twitter chorus was billionaire and Tesla and SpaceX founder Elon Musk who sparked confusion about AI to reach or be the first inhabitant on planet Mars by just tweeting “30%” to a post of Demis Hassabis. 4| Amidst this Twitter storm, PyTorch developer Soumith Chintala tweeted how Tensorflow understands GPU programming about which it knows nothing about. Tensor Comprehensions: einstein-notation like language transpiles to CUDA, and autotuned via evolutionary search to maximize perf. 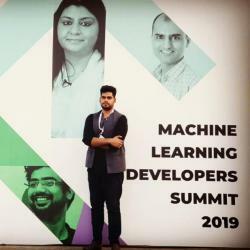 5| Pytorch Developer Soumith Chintala added fired another salvo, underscoring how AI is taking over the world by tweeting how OpenAI is beating the world of gaming and also drubbing real professional gamers. 6| After the seemingly euphoric cacophony around AI, there was one that created a chilling fear about AI and its consequences. Evan Kristel, Social Media AI Influencer tweeted about an AI-based autonomous vehicle that crosses the street through Artificial Imagery Eyes. 7| The seventh tweet that shocked us was by AI influencer Spiros Margaris on Japan’s Most Advanced Humanoid Robot HRP 500 which looks like any Autobots from the movie “Transformer”. 8| Dr.GP Pulipaka tweeted on how MRI images created by AI can make us learn better the deep learning models. 9 | Not to be left behind, Director of AI at TESLA, Andrej Karpathy tweeted about how the automotive major is doing whopping 1.28M images over 90 epochs with 68K batches. 10 | The final tweet centred around an AI paper which made researchers think how irrelevant information should not be discarded with regards to ResNet performance when Sander Deilemen, Research Scientist, Deep Mind AI tweeted about a paper published this. (iRev Net Paper).